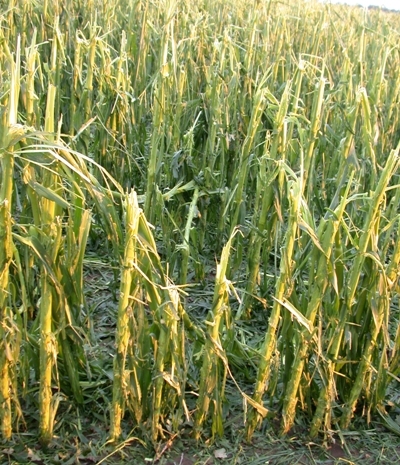 Detect patterns due to management practices in a field. Ground truthing support, for going to a field to determine the cause of variability detected in an image. Directed scouting, can provide guidance in locating specific areas of interest within a field. The first step is to analyze all the information related with the sample NDVI layers. Click on the plus sign next to the layer name to see the legend. We can see that values range from 0 to 1 (dark green), where the higher NDVI shows more vegetation activity. Make sure the layer 'ndvi_LANDSAT_20100701_024_032' is visible, to use it as a reference for selecting field visit locations. In this exercise we are going to see how to attach a picture taken in the field to a scouting location. This page was last modified on 11 August 2014, at 16:35.